Animal-print is ca. 2-3 cm. Use: Dresses, sweatshirts, tunics etc. SALESoft, black knit with messinggult pattern. Navy, lightweight polyester crepejersey with big white flowers..
SALEHeavyjersey in grey and brass. 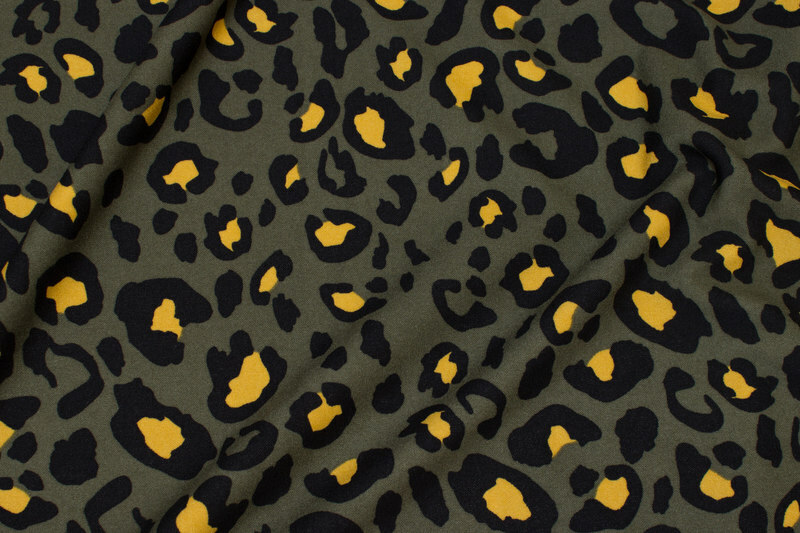 Viscosejersey with animal-print in golden colors. Lightweight, soft winter-jersey in grey nuances. SALESoft sand and grey jersey with suede-like surface.